The town's name honors the Count, who was mayor of Grinzane and owner of vast funds in the area. 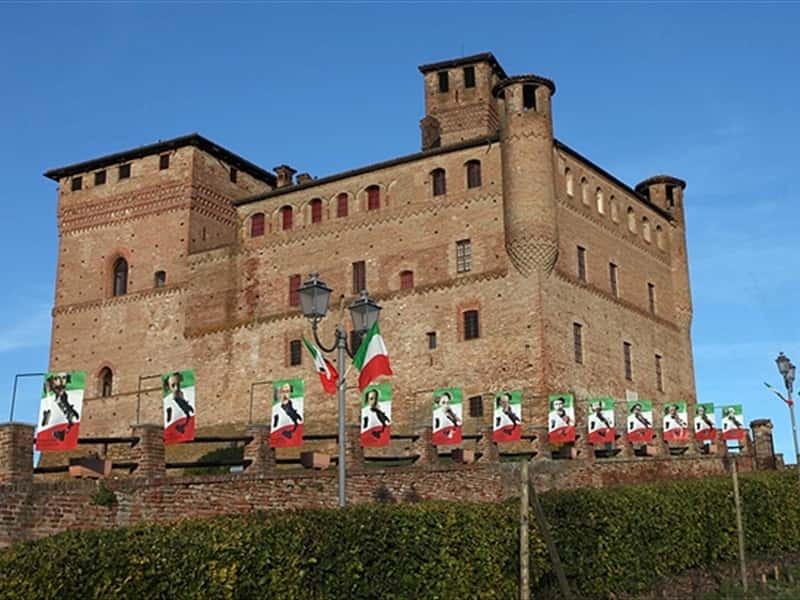 A small town in the province of Cuneo, whose main center is not only known for its excellent wines, including Barolo and Nebbiolo, but also for its festival of truffles and an important literary prize, founded in 1982, which represents an important opportunity to bring culture to the public reading. This village, consisting of XIX century homes, is dominated by the massive presence of a trapezoid shaped castle: the first houses were leaning against the walls of the structure, but after recent renovations, they were demolished so that the castle regained all the dignity and highlights of the original structure. 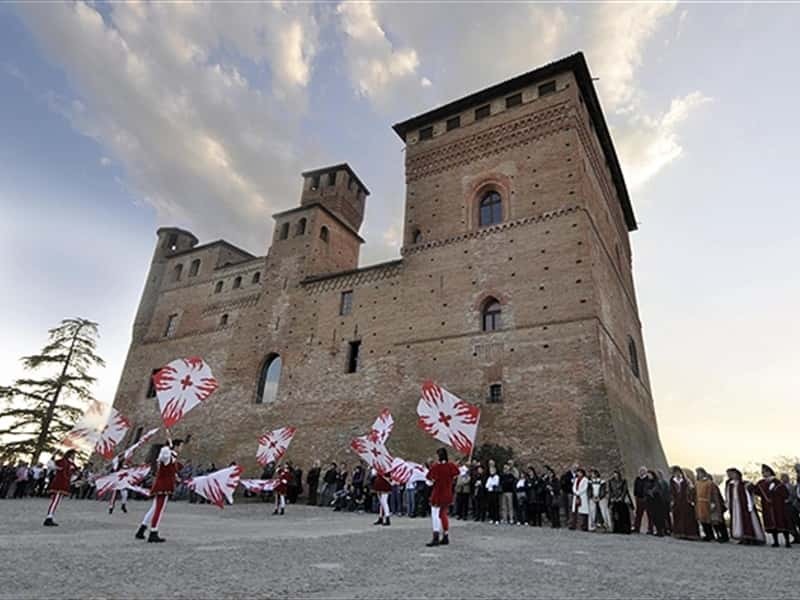 Around the middle of the XII century, the fief of Grinzane was under the jurisdiction of the city of Alba, that ceded the domain to the De Grinzaneis Family; in the XV century, instead, it belonged to the Marquis of Monferrato. For nine centuries the rule passed through the hands of several Lords and noble ladies until the final abolish of the feudal rights. In 1931 the town became a district of Alba, to return to independent in 1948. - the Old Ricetto (Shelter). This town web page has been visited 16,954 times.